It’s sad that African Americans don’t have the success in auto racing they should. Auto racing has a reputation as a “white sport.” Yet drivers like Louis Hamilton, Wendell Scott, Darrell Wallace Jr., Don “The Snake” Prudhomme, Willy T Ribbs, Tia Northfleet, Chase Austin, and Bill Lester have proven that African Americans do race, and are very talented. Looking over to the NHRA Mello Yello Drag Racing Series, the most prominent African American driver continues to prove he is one of the best. Born in Trenton, New Jersey, Antron Brown developed a love for drag racing at an early age. He joined the NHRA and raced up to Pro Stock Motorcycle, which he raced from 1998 to 2007, winning 18 races during his tenure. In 2008, after getting his nitro license, he joined Don Schumacher Racing, driving their newest Top Fuel team. 8 years, 45 Wallys, and three Top Fuel championships later, Brown has established himself as a top shelf driver, and his positive attitude and respect for the fans has established him as a fan favorite. In 2011, the year before he won his first top fuel championship, Brown raced a full season for DSR, with sponsorship from both Matco Tools and Aaron’s. During that year, he won six races, made the final round 8 times, made the semi finals 14 times, made the quarter finals 22 times with a won/loss record of 41-18. 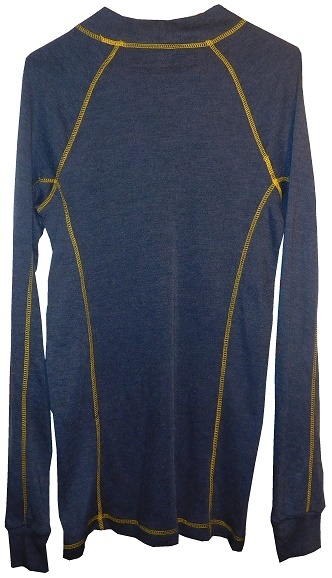 During that season, he wore this size M Impact undershirt, which he autographed. 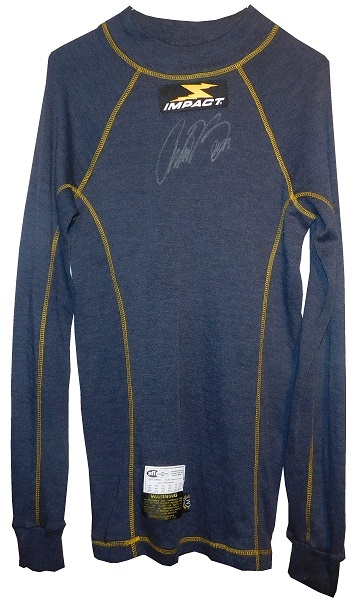 The shirt shows light use, as it was one of many used in 2011, and has been autographed by Antron in silver Sharpie just below the Impact logo on the chest. 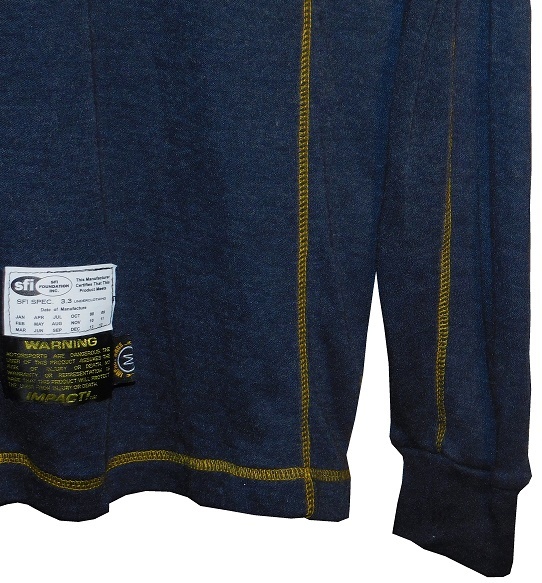 The collar is a thick one, with a tag inside that has a date of “1-28-2011” written in Sharpie. 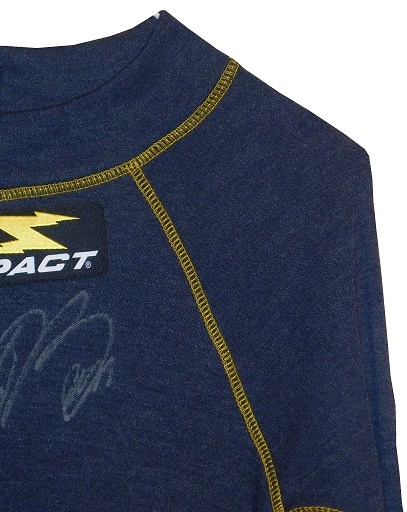 The front chest has an Impact logo on the center, just under the collar, and Antron has signed the area underneath in silver Sharpie. 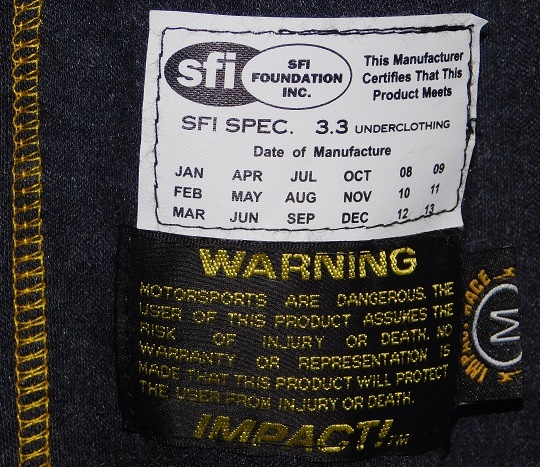 The front torso has no adornment, and on the bottom right-hand side, is an SF1 3.3 tag, as well as an Impact warranty label with an M size flag tag. 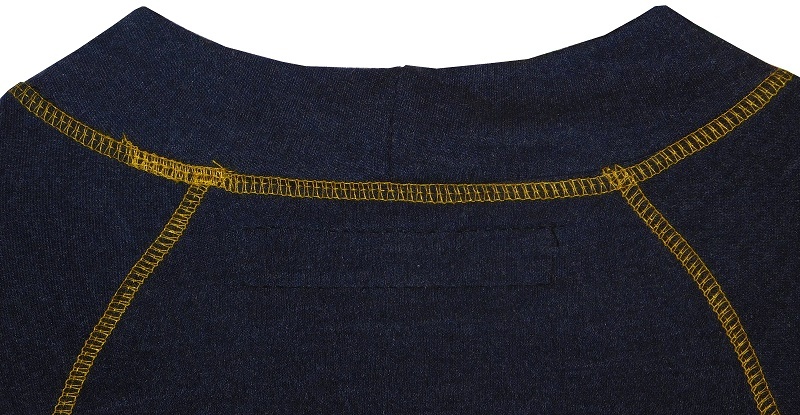 The shoulders and sleeves have no adornment at all. 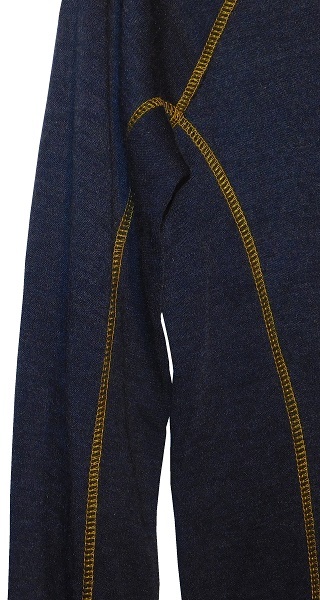 The back of the shirt shows light wear, which is hard to photograph on the dark material, and has the same gold stitching as the front, but otherwise no adornment. In a sport were all drivers are on par with each other, Antron Brown has proven that African American race car drivers can have huge amounts of success. I wish there were more drivers who could have success in American auto racing. Antron is still racing, and he isn’t going anywhere for a while. Hopefully, he can add more wins and championships to his already great resume. 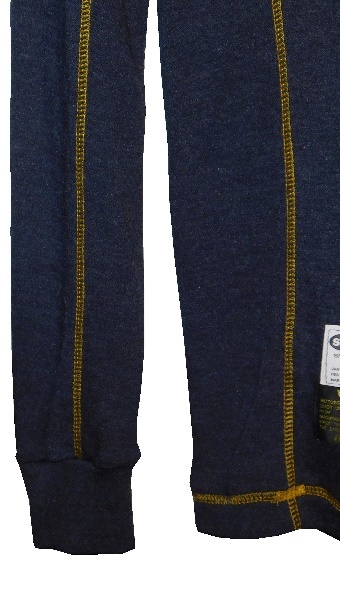 Next week, I will discuss a driver suit from a Canadian driver.